In the 1950s, a feral puppy named Toby is whisked away to the dog pound and quickly euthanized, wondering if "fun" truly is life's purpose. His strong spirit is reborn and reincarnated as a newborn Retriever puppy in 1961. 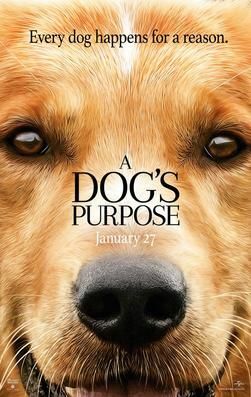 Toby leaves his cage at a puppy mill and is found by two garbage men who plan to sell him for their own profit. They leave to drink and Toby is spotted locked inside their pick-up truck by a young boy named Ethan and his mother, who rescue him from the brink of death by heatstroke. After they convince Ethan's father, the dog is allowed to stay and renamed Bailey. Read more on Wikipedia.